aKademy 2007 - Okular: simply a document viewer? Okular: simply a document viewer? Based on the rock-solid KPDF, okular is the next generation of document viewing. The first part of the talk is a presentation of okular and its new features, like the support for many kind of documents, the possibility to annotate and review them, its multimedia features, the improved bookmarking interface, and more. All surrounded by an user interface improved in most of its aspects, thanks to the co-operation with the usability teams of KDE and OpenUsability. Moreover, okular is not just a simple document viewer like any other. The okular team have expended much effort in creating a simple-but-powerful API that allows any developer the option of providing support for new document formats within okular. In the second part of the talk, there will be an overview of the available API and a basic example which will illustrate its usage. Pino Toscano is a 21-years old Italian university student. 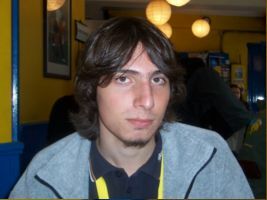 Involved in KDE since 2003, first as translator then as developer, currently he is an active KDE contributor. Kig maintainer, he is an helping hand in KDE-Edu, and recently has become the okular maintainer.